Home / News / What is an Oral and Maxillofacial Surgeon? Officially, we are called oral and maxillofacial surgeons. And we’re the experts in face, mouth and jaw surgery. 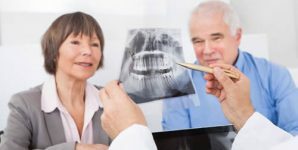 Members of the American Association of Oral and Maxillofacial surgeons are trained and experienced in all these treatment areas. Our work saves lives, changes lives, and makes lives better. What you call us isn’t really important. But when you’re concerned about health issues related to your face, mouth, or jaw, just make sure you call us.